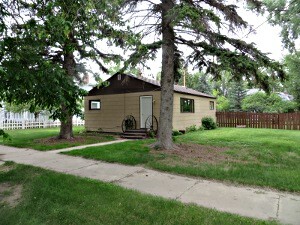 2-bedroom, 1-bath home on large corner lot in Original Townsite. Fenced yard. All appliances, including new washer and dryer! Newly-refurbished and move-in ready. $59,900. Broker-owned.